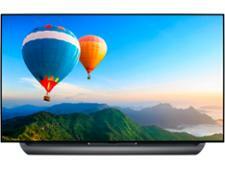 Best Cheap TVs - Which? You don't need to spend a fortune to get a good TV, but it is more difficult to shop at the budget end of the market. We show you how to choose the right set, and what could happen if you don't. Though you could pay over £2,000 for the latest TV, you no longer need to sacrifice features for a cheap set, with 4K HDR models now available for less the £500. Shopping for a budget TV is fraught with danger, however, and the sub £500 market is littered with Don't Buys and poor performing sets. Fortunately there are some stand outs that prove you don't necessarily have to pay top whack to get a good model, even if you have your heart set on a particular brand. Bear in mind, however, that the less you pay, the more the quality you'll get for your money can vary. You don't have to settle for a small TV either. If you like the idea of having a big screen experience in your living room then you can. We've found top-notch 55-inch sets for less than £500. You won't get a newly launched TV for this price, but wait a few months and the price of most models will plummet. Below we'll show you which models to spend your money on, and show you why the poor performers are definitely ones to avoid. This one may be pushing the definition of cheap, but it's an incredible Best Buy that's worth spending a touch more for. The crisp, vibrant display backed up by cracking speakers make this curved TVs one of the best cheap options around. The 50-inch TV is another example of a top brand dfiring on all cylinders. It's not quite a Best Buy, but the low price means it's still worth considering, despite its minor faults. It's one of the best scoring 43-inch TVs we've tested in the last few years and absolutely worth considering if you don't want to go any bigger. Pricing, recommendations and test scores correct as of August 2018. 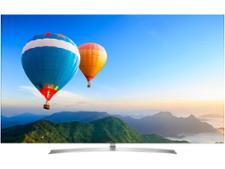 We've got a huge range of expertly-tested televisions waiting for you in our TV reviews. Get it wrong with a cheap TV and you could be faced with awful picture quality, tinny sound and a frustrating interface. Each of the TVs below was made a dreaded Don't Buy in our lab tests, and there are some very clear reasons why. This abysmal TV came from of the most popular brands around, which is why its so surprising that it's a clear Don't Buy. The quality of small TVs has nosedived in recent years, and this model is in free fall. Awful sound and terrible HD picture quality cement it as one of the worst TVs we've tested in years. 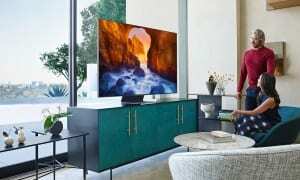 Cheap TVs: What should I look out for? Screen size: Typically, the smaller the screen the cheaper the TV, but, as you can see in the table above, you can find bigger screen models that impress in our tests. However, if you see a 50-inch TV or larger that costs less than £300 - it's unlikely to be a winner. 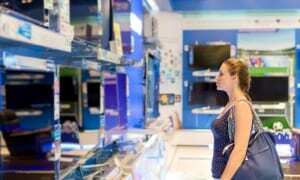 Always check our reviews to find the best cheap TVs. Type: Most manufacturers now favour LCD TVs with LED backlighting (generally referred to as just LED TVs). These sets used to be expensive, but they've come down in price significantly and are now very affordable. Rival plasma technology is now dead and while OLED is emerging, sets with the screen technology are very expensive currently. 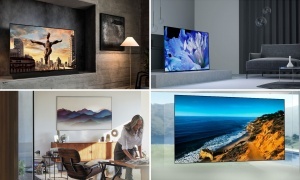 Resolution: The vast majority of TVs released are 4K and most have HDR technology, too. 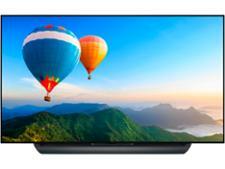 The price of 4K TVs has come down considerably as a result, with many available for less than £400. Built-in tuner: Virtually all cheap TVs have a built-in Freeview tuner, allowing you to watch subscription-free digital TV, but try to go for one with Freeview HD. That means you can access HD channels such as BBC One HD and ITV HD without needing a separate set-top box. OLED displays: OLED stands for Organic Light Emitting Diode and it differs from LCD in that each individual bulb can be turned off, which makes for deeper blacks. OLED TVs are relatively new and still very expensive, the cheapest we've seen was still over £1,000. Twin tuners: Many TVs let you record programs onto a USB hard drive, but some with twin-tuners can record two different shows at once or let you watch one while you record another. You'll only find two tuners on premium sets. Smart remotes: Trackpads, pointer-control and microphones can all be found on smart remotes. LG's Magic Remote acts like a laser pointer, meaning you can zoom straight to the menu you want rather than flicking one at a time through the options. 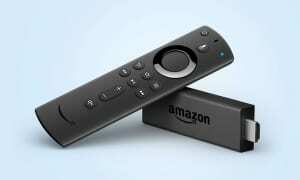 Generally you'll only find these remotes on more expensive TVs. Voice control: using your voice to jump to specific channels and search your TV for shows and movies alleviates the hassle of using onscreen keyboards and scrolling through hundreds of channels. Typically, you'll only find this feature on mid-range and high end sets.